All the good things you need to know about the perfect summer fruit just in time for the summa-time. Watermelon is the perfect summer fruit, always has been always will be. 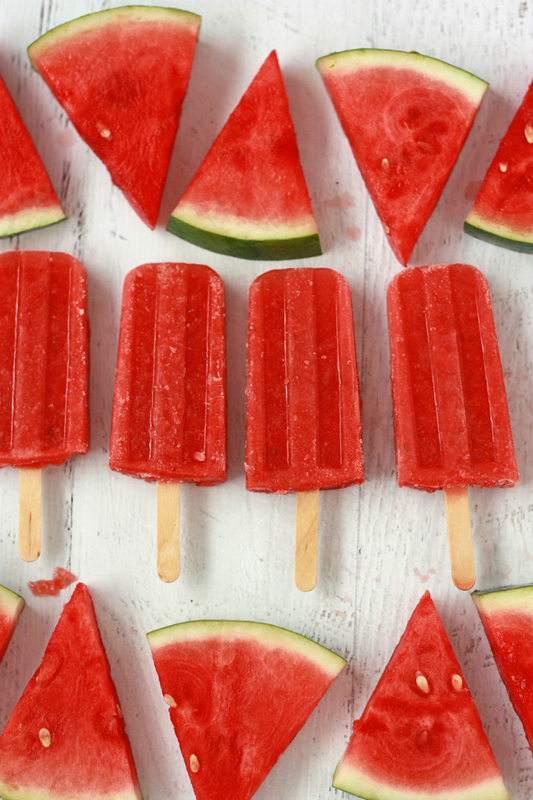 Whether you’re snacking on watermelon by the pool, on the beach, at a BBQ, or even just in your kitchen, there are quite a few health benefits you may (or may not) be aware of. 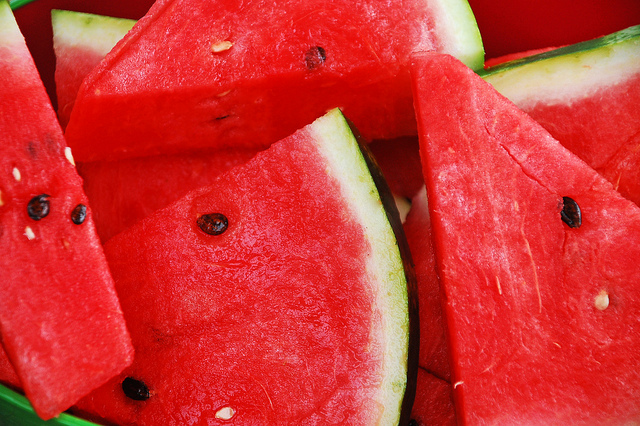 Watermelon is a natural diuretic, meaning it helps the body flush excess fluid out. 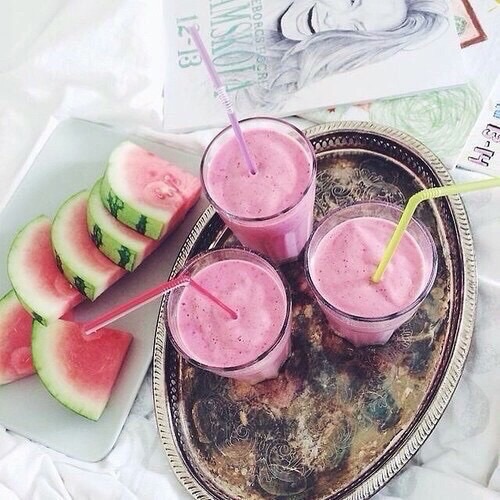 This also means that watermelon is a perfect way to stay hydrated and healthy all throughout the summer. 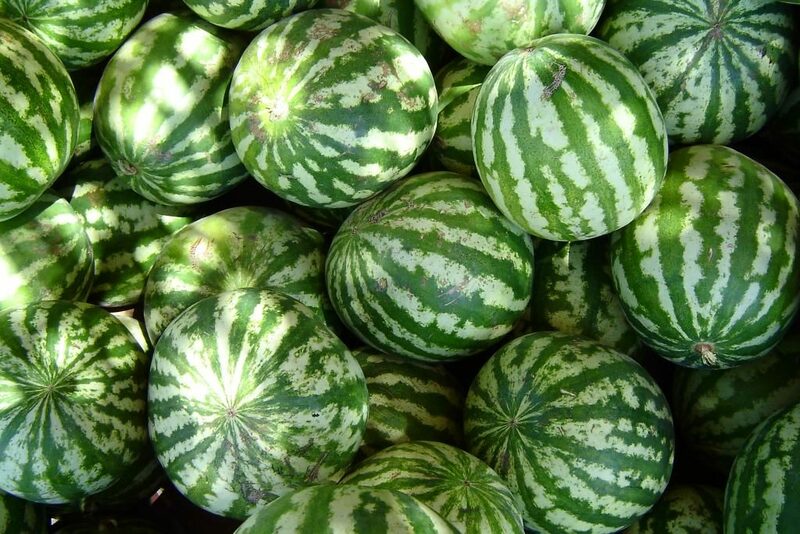 Watermelon is a fruit that consists of 93% water. Being packed with all that water and loads of other vitamins and antioxidants, it has positive benefits for your skin, such as being a solid defense against aging. 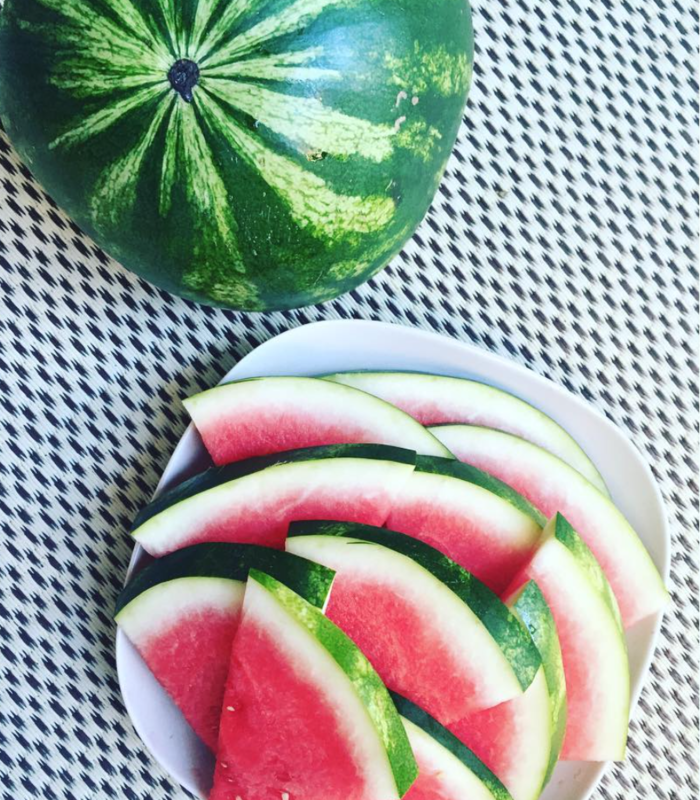 Watermelon helps prevent your skin from sun damage (although you still need to load the sunscreen on), moisturize, and in turn bring out a youthful look. Just like tomatoes, red and pink grapefruit, and guava, our beloved watermelon contains high levels of lycopene. Lycopene acts as a powerful antioxidant and fights aggressive chemicals in the body. Scientists have found that having lycopene in one’s diet can reduce the risk of certain types of cancer and heart attack. 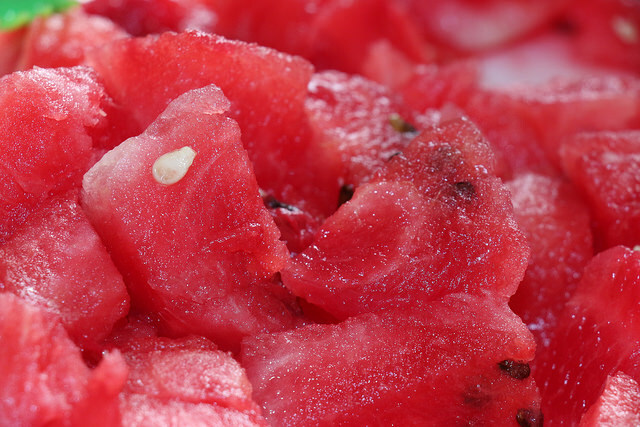 Watermelon can help relax red blood vessels which improves circulation (and libido!). 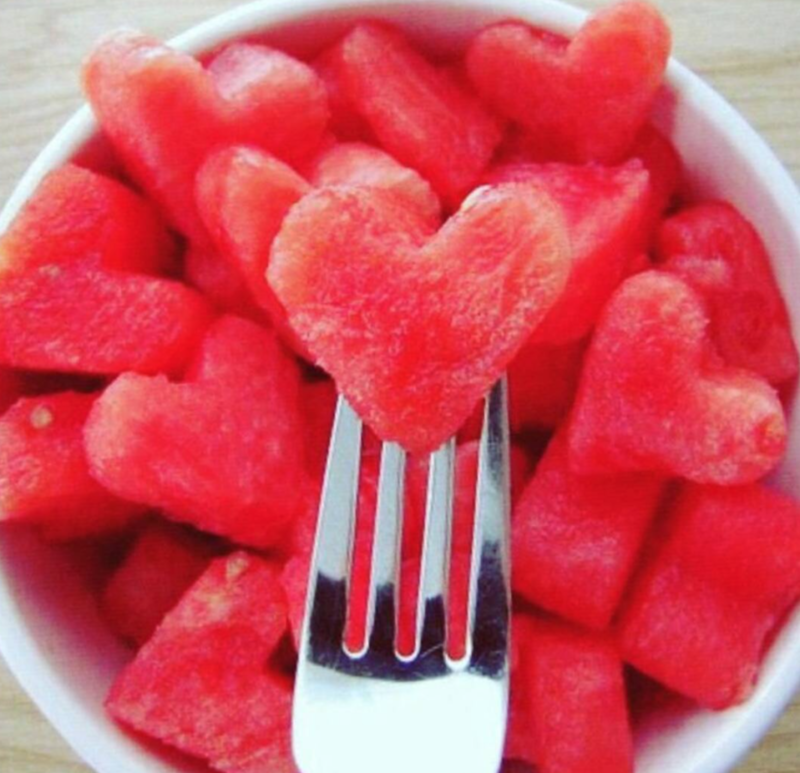 Watermelon rind contains citrulline, an amino acid, which becomes converted into arginine, improving circulation and promoting a healthy heart. Watermelon is rich in antioxidants and phenolic compounds which help reduce inflammation. Watermelon is specifically rich in carotenoids, which are strong proponents in reducing inflammation and harmful free radicals in the body. In addition to this, watermelon contains anthocyanins which also help to minimize inflammation in the body. Similar to the way watermelon improves circulation, it also helps to enhance mood. Watermelon helps to enhance one’s mood due to its ability to relax red blood vessels, support delicate brain tissue, and even help to rid the brain of neuron damaging ammonia particles. Similar to the reasons watermelon is an anti-inflammatory food, it is also a sore muscle reliever. Packed with nutrients and vitamins, watermelon contains anthocyanins which help to alleviate muscle pain and prevent further muscle damage.